This is my second winter in Virginia and there has been a lot of sunshine during the month of January. I saw a little snow one morning but it was gone by the afternoon. Since the weather has been so mild I thought that I’d return to Colonial Williamsburg for a winter walk. I’ve now been there all four seasons and it is a nice place to see in January. There was even some greenery and I noticed plants growing in a sort of greenhouse. Most of the people out walking wore light jackets and I was comfortable with my winter coat and a hat. I started out wearing mittens but I kept taking them off to take pictures until I realized that I didn’t need them after all! In a few days it’ll be February and then it will almost be spring! Here is more about Jo’s Monday Walk. This entry was posted in Travel, USA, Williamsburg and tagged flowers, walk, winter. Bookmark the permalink. Thanks Elisa – it was a wonderful day! It was such an enjoyable day – I can’t believe that it’s winter! Thanks a lot, Meg! :) I love that last photo! Oh, Spring- be still my beating heart! I know what you mean about the gloves. I like fingerless ones when I’m out with the camera, or I end up losing them. That part of the country in on my list! It’s really very nice and I’m enjoying interesting places like Williamsburg! Oh, I would love to join you on that walk! It looks like our springtime. I wish I could step right into the pictures onto that stone pathway and stroll along and enjoy the mild weather. I am really enjoying this weather Marlene – to me it seems more like March or April. That makes the sunshine and mild temperatures even better! Nice pics, Meg. Spring will be here soon! Thank you – it’s great to have these mild days to make the wait a little easier! It’s lovely to see those gorgeous blue skies. I am looking forward to Spring, it’s great to think it will soon arrive. What an idyllic place for a winter walk. Thanks for showcasing this part of the world.You may look forward to Spring and I for Autumn for the same reason. The change in the weather! Very hot where I am at the moment. Winter and summer weather give us a real appreciation for the mild and beautiful days of spring and fall! Such a beautiful walk in a warm weather, Meg! The last photo is so beautiful. Love how you capture the tree branch over the door frame and the wall. So they really have a mild winter in VA. I can’t believe that there are greens and colors this time of year. I didn’t realize that it was so mild here – it’s great to see the greenery too! Hi Meg, I feel like I owe you an apology since you got cheated out of your rightful spot on our Orples Adventures. I’d set this post up in Early December when I had a little extra time, then banked it until your turn came around. By that time, Christmas was the theme, so I let it lie awhile longer. When I did post in ( … http://orples.net/orples-2/the-orples-visit-auckland-castle-in-bishop-park-in-county-durham-england/ ) I posted it as a mention in the scene I had set up for Jo’s post, since she was next on our list. The post I posted for you was placed in line as to when I set it up. Due to time, I didn’t check into ‘how to change post dates’ … if I can do it at all … Anyway, I thought you might like to check ‘your’ gardening Adventure out, even if we did sorta botch it this time around. Today’s wonderful walk reminded me of your recent stroll through Charlottesville. Thank you for sharing the post – it was really cute! Thanks for visiting my blog – I’m new to Jo’s Monday Walk so it’s interesting to find other participants. 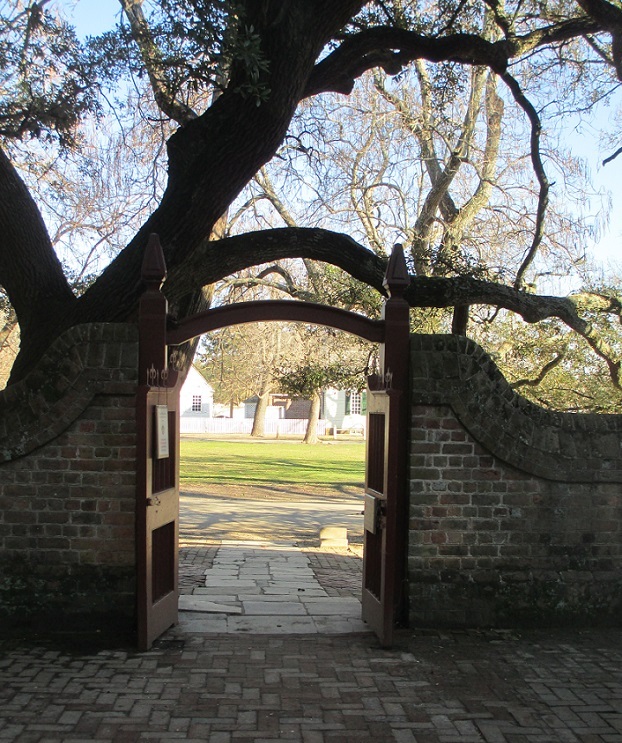 This post is lovely – I’ve visited Colonial Williamsburg, but only in the summer. We’ve had two holidays in Virginia, I really like it. I enjoyed the walk thru You beautiful photos. Well, we walked in Helsinki recently. Thanks – winter walks are really special and your walk in Helsinki was lovely!